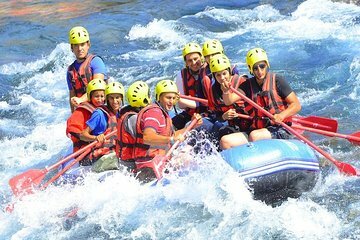 Enjoy the thrill of white-water rafting down the Köprülü Canyon on this day tour. After collecting your safety gear and getting a thorough briefing, float and bob your way down the river, and even get a chance to play in waterfalls. Enjoy the beautiful views along the way. You will probably get wet from the rapids, but that’s all part of the fun.